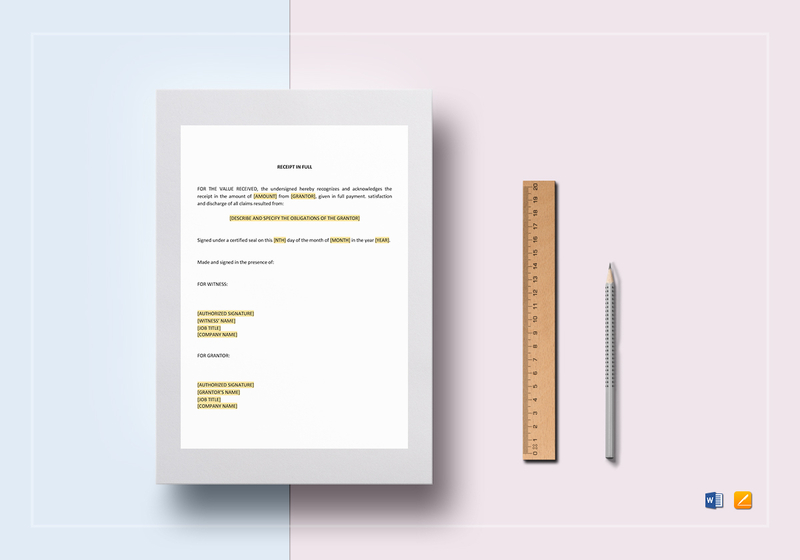 Businesses all require to have receipts for official transactions, and this file is useful to have in your template library. The higly customizable template is available for download in multiple file formats. 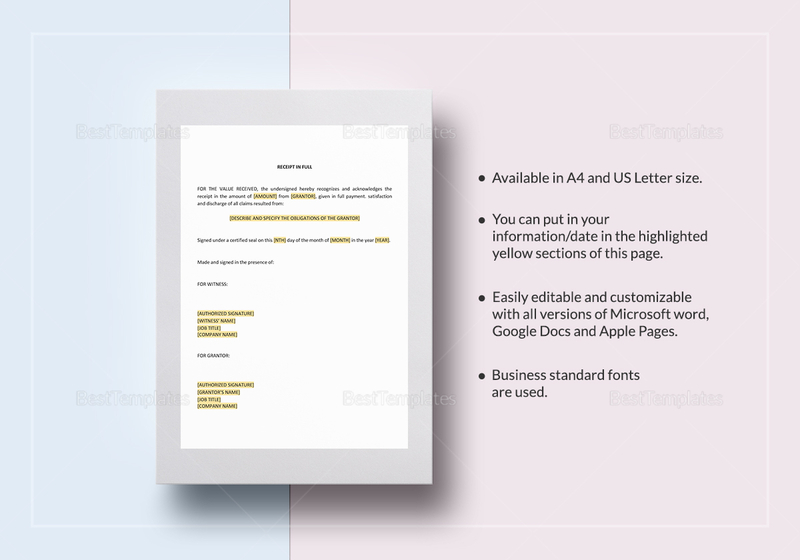 Simply edit the highlighted areas with the necessary information, then print or share digitally for your business’s record-keeping purposes.